When Sheikh Mujibur Rahman’s diaries came to light in 2004, it was an indisputably historic event. His daughter, Bangladesh Prime Minister Sheikh Hasina, had the notebooks their pages by then brittle and discoloured— carefully transcribed and later translated from Bengali into English. 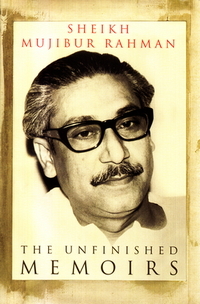 Written during Sheikh Mujibur Rahman’s sojourns in jail as a state prisoner between 1967 and 1969,they begin with his recollections of his days as a student activist in the run-up to the movement for Pakistan in the early 1940s. They cover the Bengali language movement, the first stirrings of the movement for Bangladesh independence and self-rule, and powerfully convey the great uncertainties as well as the great hopes that dominated the time. The last notebook ends with the events accompanying the struggle for democratic rights in 1955. These are Sheikh Mujib’s own words—the language has only been changed for absolute clarity when required. What the narrative brings out with immediacy and passion is his intellectual and political journey from a youthful activist to the leader of a struggle for national liberation. 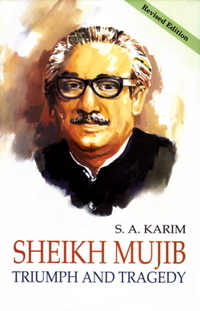 Sheikh Mujib describes vividly how—despite being in prison—he was in the forefront of organizing the protests that followed the declaration of Urdu as the state language of Pakistan. On 21 February 1952 the police opened fire on a peaceful student procession killing many. That brutal action unleashed the powerful movement that culminated in the birth of the new nation of Bangladesh in 1971. This extraordinary document is not only a portrait of a nation in the making; it is written by the man who changed the course of history and led his people to freedom. * UPL edition is only for sale in Bangladesh. Please order the English language edition from Amazon.com or Penguin website if you are not in Bangladesh. Thanks.